Primitive Threads is a striking quilt with the colorful chain and stars against a black print background fabric! Inspired by 19c folk art game boards, painted furniture and signs, it's sure to become one of your favorite quilts ever! All blocks use modern rotary cutting and piecing techniques. The quilt measures 86" x 94". 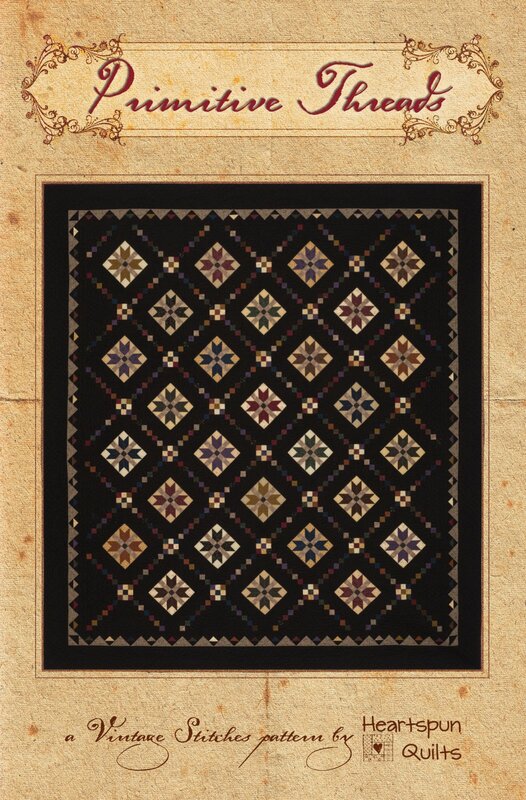 A limited number of kits are available for Primitive Threads, which includes the pattern. Click here to read more.